This collection of alternative energy and clean energy "green cars" features generic cutaway technical artwork of conventional gas-electric hybrid vehicles, all electric plug-in cars, FCHV hydrogen fuel cell cars, natural gas-powered clean energy vehicles and super high-efficiency diesel powered micro cars. 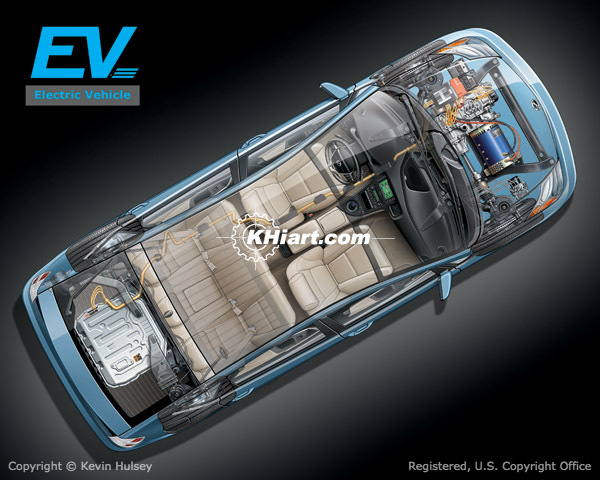 The gas-electric hybrid cars on this page show the internal combustion motor, AC/DC Inverter, NiMH battery array, engine management cpu, reverse braking generator and planetary gear transmission as well as the high-voltage electrical wiring harness and gasoline fuel tank. 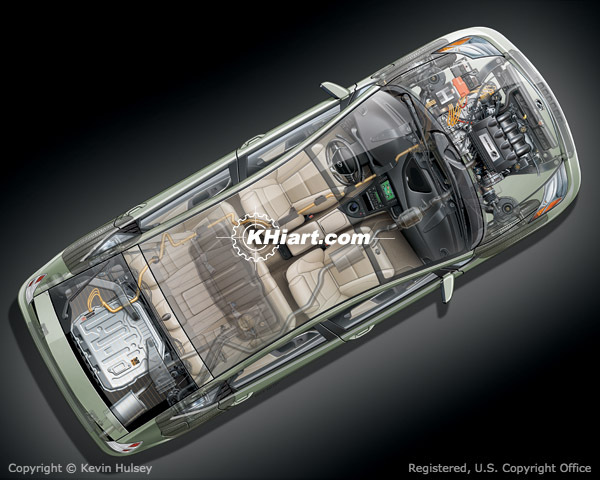 The aerial overhead illustration above is of a generic hybrid schematic diagram showing the hybrid car's electric motor, gasoline engine, electrical system and wiring harness, NiMH battery array and electrical components. 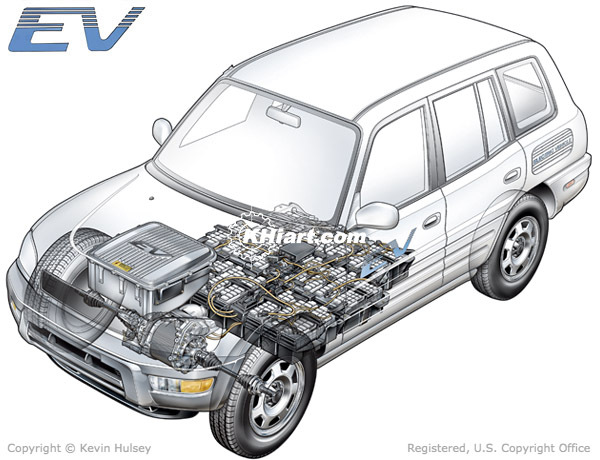 The above image is of an experimental first-generation Toyota hybrid SUV, and was their first all-electric EV plug-in sport utility vehicle. This model was a limited production model that was leased to California businesses. 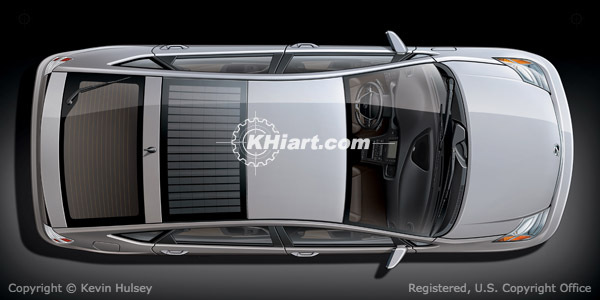 The aerial overhead illustration is of a generic hybrid car that is equipped with a solar roof panel array to charge the 12V battery and power interior electrical devices. 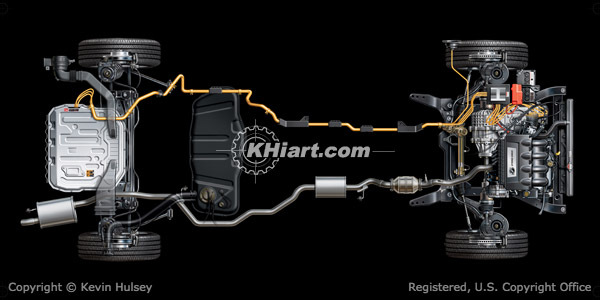 The overhead illustration shows a generic cutaway version of an EV all-electric plug-in car that is a 100% battery powered electric vehicle. 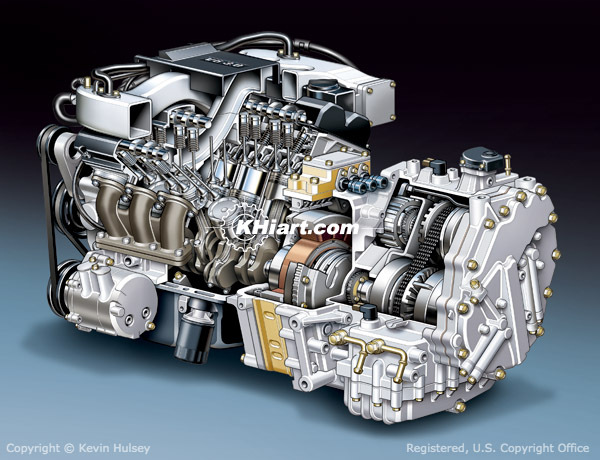 This illustration above is of a generic hybrid engine using a six-cylinder gas-electric configuration with hybrid-drive power assisted transmission. 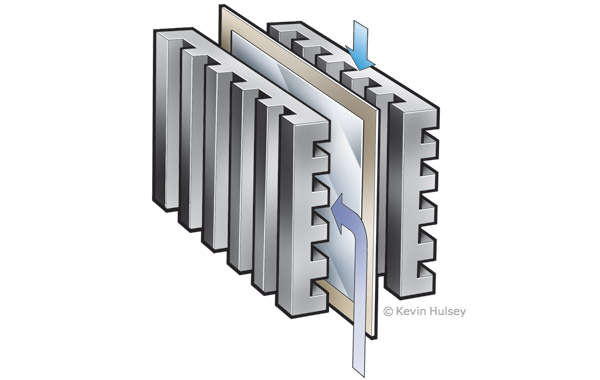 The simple diagram above shows a typical fuel cell and the transfer process which converts chemical energy into electricity through a chemical reaction between oxygen or an oxidizing agent. 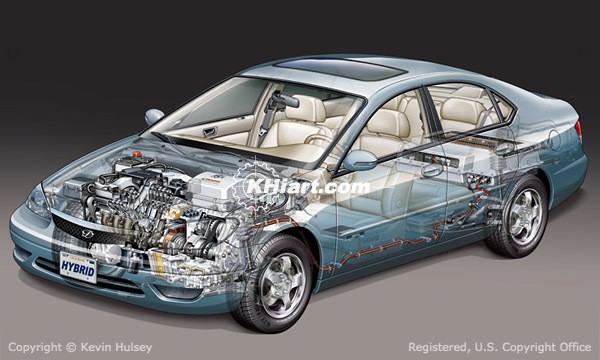 The cutaway areal view of a generic plug-in car features a gas-electric configuration. This hybrid vehicle uses a combination of a highly fuel-efficient internal combustion engine and electric motor assist.